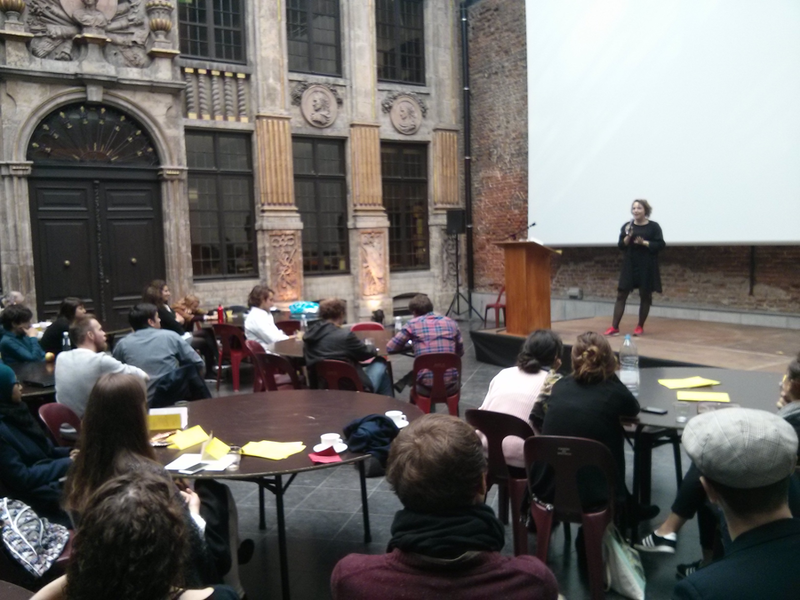 At least three notable things happened in Brussels over the weekend of 25–27 September, 2015: the 6th 4CITIES cohort (C6) graduated, the 8th cohort (C8) began its 4CITIES journey, and the first official alumni reunion and September Salon took place. 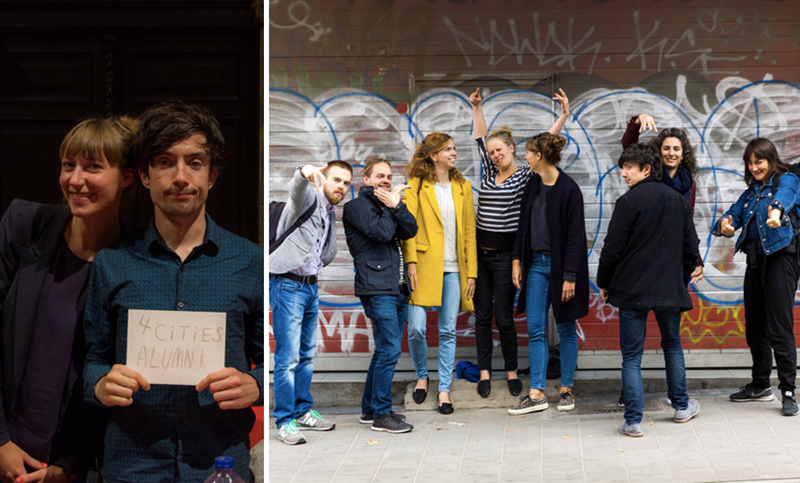 With six graduated cohorts and the total number of alumni at nearly 120, the 4CITIES alumni network is taking shape. A group of eight alumni formed the 4CITIES Alumni Board (4CAB) in early 2015 and developed the idea of adding an alumni reunion and salon event to the graduation weekend in September. The plan was for alumni to meet for drinks and dancing and catching up on Friday evening, and for Saturday’s September Salon to feature presentations by alumni on various projects and an inter-cohort discussion about life after 4CITIES. The goal was to test whether there is enough interest to sustain the initiative and further develop it in 2016. Friday night’s reunion at Lava Bar featured nearly 60 alumni and current students and didn’t end until well into Saturday morning. The September Salon kicked off on Saturday afternoon at La Bellone, where the graduation dinner and ceremony would be held a few hours later. After the 4CAB members introduced themselves and explained what they have been working on all year, six alumni gave presentations on their experience with post-graduation projects or positions. Bence Kovats (C3) gave the first talk, which pulled from his experience with the urban planning department in Budapest and considered why so many planning and development projects in (semi-) peripheral cities fail. Alexander Akishin and Daria Gilfanova (both C5) work as consultants and researchers on the future of Russian cities with Aventica and are opening a new office in Kazakhstan. Pepijn Kennis (C5) coordinates Toestand, a non-profit Brussels-based organisation focusing on the sociocultural reactivation of abandoned or neglected city space which runs Allee Du Kaai, a sponteanous action zone and space for dialogue, creation, and action in the quickly redeveloping Brussels canal zone. Peter Ulrich (C4) recently started a new position with ICLEI in Freiburg im Breisgau, Germany, and is currently working on the Berlin Sustainability Profile, among other projects. Rikke Gram-Hansen (C3) closed the presentation session by introducing the Copenhagen Solutions Lab, the City of Copenhagen’s incubator for smart cities initiatives, and how 4CITIES enables her to bring a different perspective to the smart cities game. 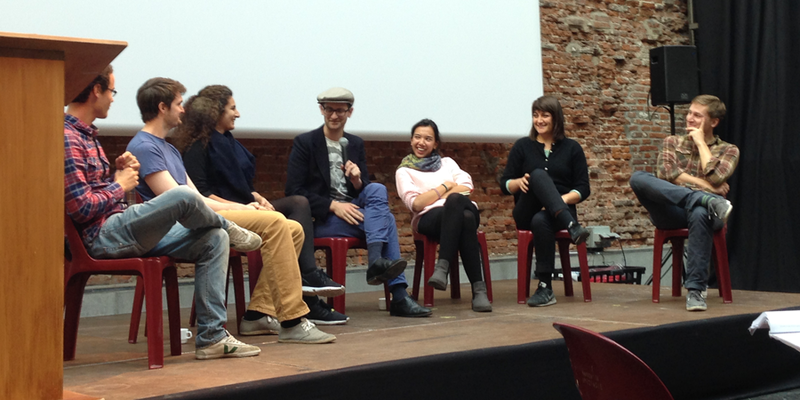 Peter Ulrich was back on stage for the panel discussion, which also featured Roderick Allen (C3), Yalda Pilehchian (C5), Wojciech Keblowski (C3), Claudia Wilopo (C4), and Maina Thomas (C5). Moderated by Boris Feron (C4), the discussion ranged from what people have done since 4CITIES to the strengths and weaknesses of the programme and how their experience as 4Citizens continues to impact their professional and personal lives. The September Salon, like the reunion the night before, was surprisingly well-attended given the still-small number of 4CITIES alumni. Nearly 70 students, alumni, and professors made clear that the desire to reconnect — better yet, to avoid disconnecting after graduation in the first place — is shared and strong. The original members of 4CAB have all signed on for another year and Devon Willis from Cohort 6 has joined the team. The September Salon will add an invited guest speaker in 2016 and provide more opportunities for participants to, well, participate. Add to this a new 4CITIES website, which is set to debut in early 2016, and a number of initiatives planned by 4CAB, and the next year should see considerable development of the 4CITIES alumni network.